Crozet Running Trail 5K Results; OH!lly Registration Now Open! Wow! What a great turnout for yesterday’s 2016 Crozet Running Trail 5K and a great, spirited group of runners! 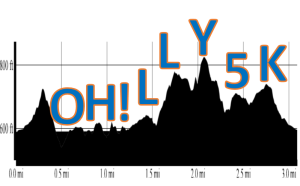 Now, it’s time to register for the next race in the Charlottesville Summer Trail Running Series, the OH!lly 5K, to be held Tuesday evening, June 7, 2016 starting at 7 pm. The race take place on and around the University of Virginia’s Observatory Hill, starting at Zehmer Hall. Race cost = $5! More race details can be found here. Click here to register for the OH!lly 5K race online. Note: Racers that have already registered for the Summer Trail Running Series do not need to register separately for the OH!lly 5K. You are already registered!